This online Cyber Talents CTF is being held in conjunction with the upcoming HITB Security Conference Dubai 2018. Winners of this Cyber Talents CTF will be awarded free passes attend this year’s HITB Security Conference 2018 Dubai (HITBSecConf 2018 DXB). 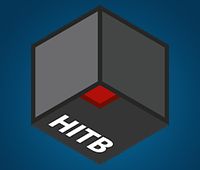 HITBSecConf will run on 27 – 28 November at the Grand Hyatt Hotel, Dubai, UAE. Winners will have free access to the conference and both its technical talk tracks. Game rules: Sharing flags between different players is prohibited. Sharing write-ups of the challenges is not allowed before the end of the CTF. Brute Force attacks on the challenges submission portal or challenges links are not allowed. Players who attack the site or the hosted servers will be banned. Cyber Talents has the right to disqualify players for any actions deemed unethical or disruptive to the game as a whole. The top three performers will receive free access passes to attend HITBSecConf 2018 Dubai – these passes are valued at more than US$1,000 each. The rest of the players will receive 25% discount on their tickets (limited to the first 100 players only).